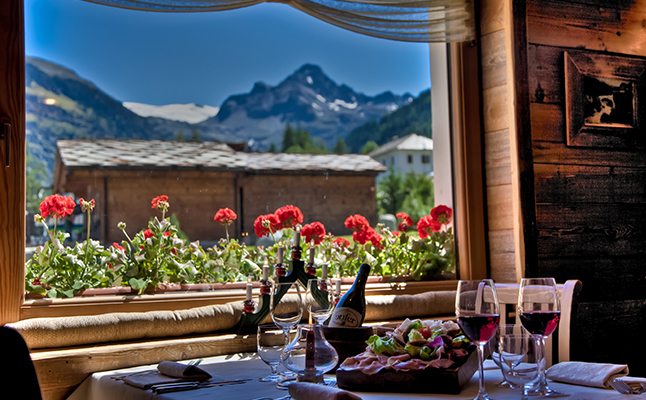 The Hotel Le Miramonti is situated in a scenic and romantic location, surrounded by the mountains and less than 400m from the ski slopes. 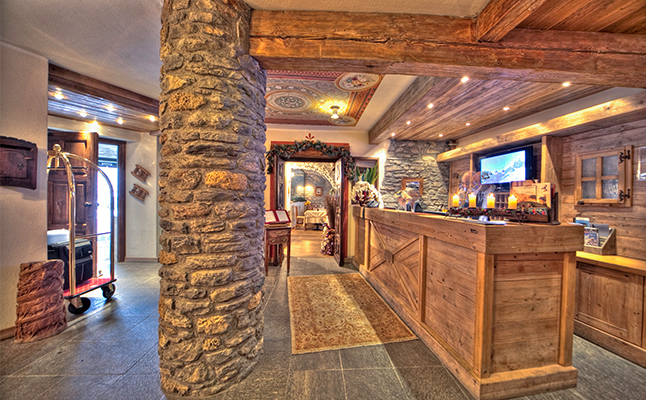 Inside the local natural stone walls, the impressive wood walls, hand-made furniture and the stone fireplace maintain the unique ambience and atmosphere of a traditional luxury mountain chalet, inspired by the culture and heritage of the Italian and French Alps. 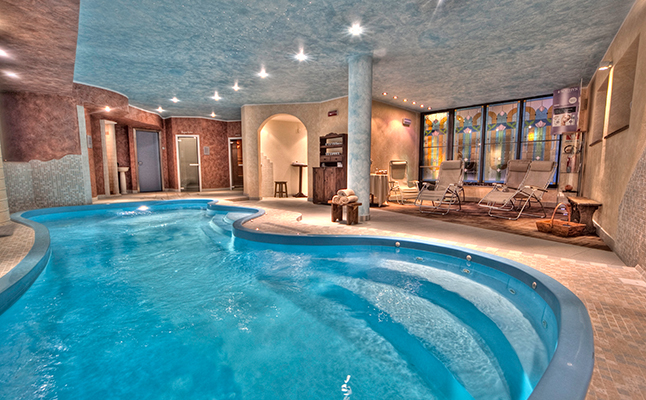 The Wellness Centre offers a small pool with jacuzzi area and water gym equipment, sauna, steam bath, revitalizing shower and tranquility lounge with tea corner (please note that a small charge is payable to the hotel for use of the facilities). Their wellness professional team are available to provide a large selection of beauty and esthetic treatments. 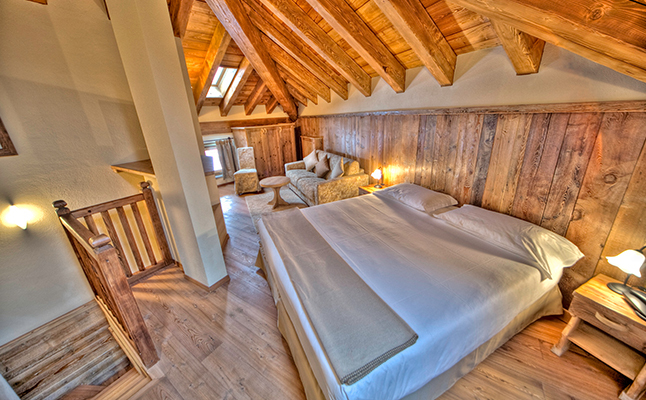 All bedrooms at Le Miramonti are exquisitely appointed with beautiful hand-made furnishings and charming wood walls, warm and elegant bathrooms, surrounded by the calm and privacy of a quiet Alpine location. 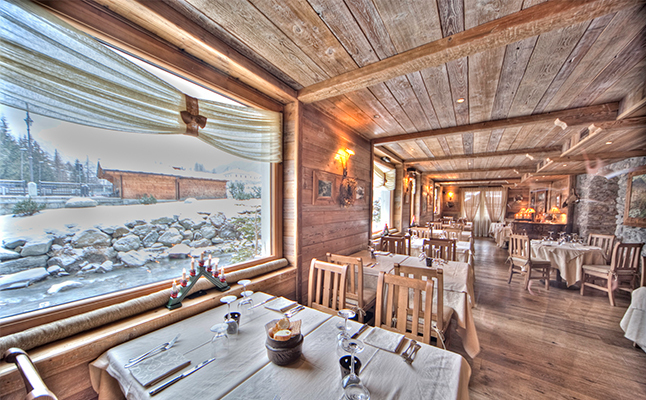 A unique and traditional Alpine experience! Unfortunately, short breaks are not currently available at this hotel. 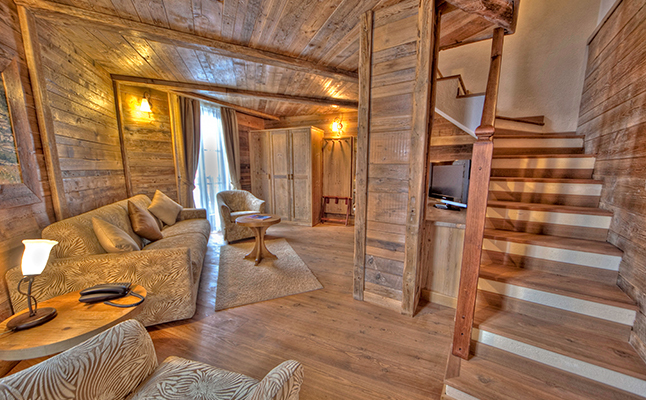 Why not have a look at our short ski breaks page, or search online for ski holidays with Interski. We are awaiting our first client reviews of this hotel. If you've got some questions and would prefer to speak to someone, use our callback facility and one of our sales team will give you a call at a convenient time. And don't worry, this is not a high pressured sales call. Many thanks for completing the form. 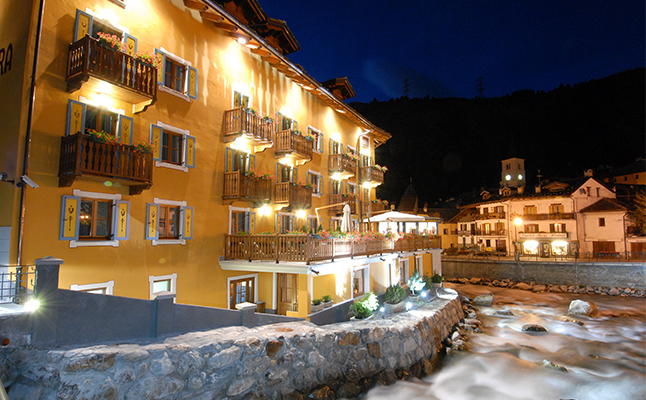 Your interest in booking an Interski ski holiday has been sent to our Sales Team. We will review your details and be in touch with you in the near future. In the meantime, please feel free to contact us on either 01623 456333 or by email to email@interski.co.uk. If you choose this option, you will be responsible for purchasing your own flights to arrive and depart resort on the correct dates. If you would like to proceed with this option we will discount the basic price by £150 for each adult and 7-15 year old and £75 for each 2-6 year old.